Joseph, Oregon, has a lot to offer anyone who enjoys scenic beauty and outdoor recreation. The small community of Joseph is located at the north end of Wallowa Lake, well known for its trophy-sized fish. It is a place where you can be as active or as laid back as you like. 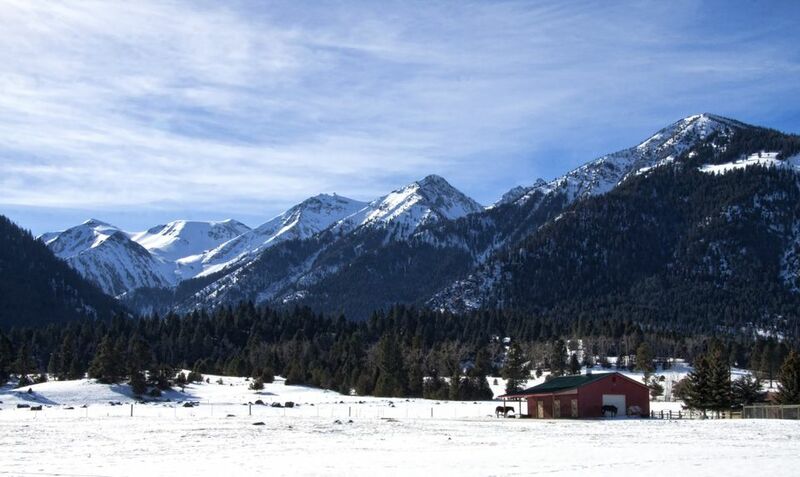 The town is surrounded by wilderness areas, including Wallowa-Whitman National Forest, Eagle Cap Wilderness Area and the Hells Canyon National Scenic Area. In the summer you can enjoy hiking, fishing and boating. Winter brings abundant opportunity for cross-country skiing and snowmobiling. All in all, this is the perfect place to get outdoors and explore! One of the more popular parks in the Oregon State Park system, Wallowa Lake State Park offers the full list of outdoor fun. Campers can choose from RV or tent sites as well as yurts and cabins. Campers and day visitors will enjoy nature trails, picnic areas, swimming, and bird and wildlife watching. Wallowa Lake Marina, located inside the park, has a boat ramp and extensive dock space. The marina store offers paddle boat, kayak, and motorboat rentals along with fishing gears and licenses, water recreation supplies, snacks, and gift items. Enjoy views of Wallowa Lake and the majestic Eagle Cap Wilderness Area aboard a four-person tram car. The Wallowa Lake Tramway takes you to the top of Mount Howard, where you can relax and take in the views at the Summit Grill and Alpine Patio. You can also wander through the mountain top's interpretive trail system. The sometimes-steep trip between the tram's boarding area and the top takes approximately 15 minutes. The Wallowa Lake Tramway only operates during the warm months of the year, typically late May through early October. The Eagle Cap Excursion Train follows the Grand Ronde and Wallowa Rivers, passing through scenic wilderness, canyons, and cliffs. The 63-mile train ride is scheduled on some Saturdays, June through October. It lasts 3.5 hours and includes lunch. The station to board the Eagle Cap Excursion Train is located in the town of Elgin. Reservations are highly recommended. Old Chief Joseph's remains were moved to this sacred Nez Perce site overlooking Wallowa Lake in 1926. A stone memorial marks the grave site inside the five-acre cemetery, a National Historic Landmark that is part of the Nez Perce National Historic Trail. The Iwetemlaykin State Heritage Area, located adjacent to the gravesite area, is part of the traditional lands of the Nez Perce Tribe. One mile of trail wanders through hilly grasslands and offers stunning lake and Eagle Cap mountain views. The trail system can be accessed from the Old Chief Joseph Grave Site or from a parking area slightly north of the grave site. Both are located along the west side of Highway 82. The Wallowa region is home to many artists. Over the years, the area has become a hub for sculptors who work in bronze. Several significant bronze sculptures are displayed in public areas around town. These artworks can be enjoyed on Bronze Artwalk, a walking tour of downtown Joseph. A brochure with Bronze Artwalk map and descriptions can be picked up at locations around town. You also have the opportunity to visit galleries and showrooms at the local foundries. If you would like to tour a bronze foundry, please make advance reservations with the individual facility. The Hells Canyon Scenic Byway loops through the towns of La Grande, Wallowa, Elgin, Enterprise, Joseph, Halfway, Richland, and Baker City. While the entire Hells Canyon Scenic Byway is best experienced over two or more days, the Grande Ronde and Wallowa River Valley portions of it can be enjoyed from Joseph. The eastern section of the loop is on a rough forest service road that is closed most of the year; be sure to check in advance to make sure the road is open prior to making the trip. Located in downtown Joseph, the Wallow County Museum is not large, but worth a visit for its reasonable entry fee and comprehensive exhibits. The museum tells the story of the native Nez Perce from their point of view and adds in pioneer history to the area as well. The artifacts within include everything from stills to distill spirits to a Nez Perce teepee. An hour or two max is a fine amount of time to budget for this stop, but it’s worth it for any and all history buffs. For all things arts, a stop by the Josephy Center for Arts and Culture is a must. The Center is at once an art gallery, an events space and a place where you can take a class in anything from painting wine glasses to astrophotography. Exhibits rotate so that there’s always something new to see, and include a bit of everything – women’s art exhibits, photography exhibits, printmakers and even history on display. Also, check the Center’s events calendar to see what’s on. Joseph, Oregon, is located near plenty of agriculture so visiting the Wallowa County Farmers' Market is a fine way to enjoy fresh and local berries, tomatoes, peppers, and other fruits and veggies. On one hand, the Wallowa County Farmers' Market is a great place to pick up some fresh produce, bread or meat for dinner, but it’s also a laid-back place to spend a little downtime. The market takes place every Saturday. Joseph is an outdoorsy kind of place with tons of outdoor adventures just waiting to be had. For one, Wallowa Lake is nearby and the lake is a great place to grab a boat (Wallowa Lake Marina Boat Rentals has rental boats if you don’t have one yourself) and set out to explore this beautiful and pristine lake. If you like getting out on the water, but prefer to see things from a higher vantage point, Wallowa Paragliding is another option. You can go whitewater rafting or fly fishing on the area rivers, including the Snake River in Hells Canyon, the Grande Ronde River, and the Salmon River. Last but not least, Joseph’s many trails are perfect for hiking and mountain biking. Iwetemlaykin State Heritage Site is a good place to start with level trails, a pond, some wildlife and a location that’s only a mile from Joseph proper. If you’re willing to drive a little farther afoot, Wallowa Lake Trailhead, Hurricane Creek Trailhead, and the McCully Trailhead are all also solid options.